Though he is often characterized as a magic realist in Anglophone circles, the title makes Couto uncomfortable. At the PEN World Voices Festival in May 2013, the writer suggested the term has much more to do with marketing than with literature. Couto’s literature is closely intertwined with the history of his country—Couto was even one of the authors of Mozambique’s national anthem following independence from Portugal in the mid-1970s. His writing might best be viewed as part of a national project that aims to accomplish for Mozambique what Brazil has constructed since its independence from Portugal in the nineteenth century: a language that represents not the impositions of colonial rule, but a linguistic inheritance reconfigured into a mode of communication truly Mozambican. A formidable task: when Mozambique gained independence, a mere twenty percent of the population spoke Portuguese (a number which has since doubled), while Mozambicans continue to speak over 20 other languages. And therein lies part of Couto’s genius: he infuses into his prose the country’s oral tradition. The result is an idiom unique to Couto, one that borrows generously from the diverse languages and cultures of his country. To translate Couto, one must employ all the tools in one’s box. This goes beyond mere reproduction of his neologisms; it means preserving the rhythm and musicality–the poetry–of the work. It is not insignificant that his first published work was a collection of poems, for the author describes his work as poetry in prose. The news on the radio spoke of the imprecise death of Acubar Aboobacar, found in a state of total demise in the vast chair in his living room. And so it went: by the looks of the early departed, it’s suspected the cause of death was a snake bite. However, neither the animal nor signs of its fangs were found on the body of the deceased. The victim’s wife told the Radio that Aboobacar had of late exhibited strange behavior and directed frequent threats her way. He suspected, without basis, conjugal infidelity. Here follows a compiled version of the facts and characters, irrepeatably always different, like the river into which no man ever steps even once. Mintoninho left the house running through fields of green, full-blown ranges of grass. He was going to fetch his father, Acubar Aboobacar. The boy didn’t want his mother, a merchant at the bazaar, to come home and not find her husband . The kid had tired of the household fights that, with each of his father’s benders, were always recomplicated. On that afternoon, Mintoninho, quick afoot, hoped to prevent misfortune. When he stepped into the street, though, he stopped short. On the ground, arrogant, a blue beret displayed itself, one of those. Could it have fallen from the United Nations cars? Could it be from these soldiers exercising the exclusive profession of Peace, and who give the world more news than tranquility? For a few moments, Mintoninho hesitated: could he master the find, since there was no one else witness? He stood twirling the beret in his indecisive fingers, between imaginings of sincere uses and abuses. Then, he decided: he would deliver the hat, later on, over at the barracks of the Blue Berets. For now, he would just find a place for it at home. He turned back to leave the sky-blue beret in peaceful repose in the cabinet near the entrance. At the next, he reloosed his legs upon the road. But he didn’t even need to make it to the bar. His father was already making his return, staggerlining up the sidewalk, a walking beer sponge. Looking at that figure, the boy longed for the father he’d had before the war. As if he’d been an orphan and the man who was drawing near were a mere stepfather, passing and passerby. The two of them, father and son, greeted each other in separate silences and walked along as if there weren’t a house in this world to call their own. And it happened right there at the entrance: from the top of the cabinet the blue beret seized the man’s fears. Acubar Aboobacar didn’t even fit in the universes. His vast surprise overran, unhinged, all his nerves. The man disbelieved himself. Could the woman, his certified wife, have chosen other flavors among the uniformed foreigners, witnesses to this transition from the tragedy of war to the misery of peace? To ask is shame, to doubt is weakness. The affair demanded undelayable mannishness, ingenuities and sureties. Without the light of doubt, hate grows stronger. At grief’s edge, suspicion took on the measure of fact. Mintoninho still tried to explain to his father the reasons for the beret. But he hadn’t even occasion. His father laid down orders: the boy was to be gone, immediate as the shooting star. Was to be off to the veranda, as the airs were growing thin in that place. Acubar Aboobacar remained seated, waiting for his wife, vinegrated by the beret in his lap. The bitterness of jealousy grew throughout all his body like yeast left in the oven. But it was as if its visit were well known to him, that other self, he who, before the war, would never have managed to lose Sulima. Does jealousy grant man his feminine stature? —So it shall be, locked within one another, so it shall be that we‘ll live from now on. Acubar felt the air being exiled from his chest. Closed like a paragraph, he even thought to cry out, call for help. But then came the recollection, in reminiscience. The converse of life is not death, but another dimension of existence. The serpent, it’s said, was born alongside the human soul. That’s right, the snake is made of mistakes, just like woman. The fangs of one are in the mouth of the other. Sulima was there, extending an invitation for her to crawl inside him. —Each man has his passions eviscerating his insides. I’ll enter into you that we might never have to say goodbye, flesh into flesh. —Leave it. The beer is my sheet. —I don’t have myself any longer, son. It was the snake that killed me. —It bit me from inside. It entered here. The boy, at first, believed this to be drunken show. But, then, in the face of his father’s new appearances, he became worried. He wanted to go for help. But a paternal arm stopped him. —Leave it, son: a mouth wound is cured with one’s own saliva. And it’s of life I’m curing myself, of this life I didn’t know how to enjoy as one should. They say at that instant he expired, so tiny and shrunken that the son grasped him for the first time in a full embrace. The mother found the two of them so statued in remembrance. Strange was how she, barely understood the sight, removed in hurried gesture the blue beret from her husband’s lap. Then, she folded it stealthily into her purse. They say. Mia Couto was born in Beira, Mozambique in 1955. His novels and short story collections have been published in 20 languages. Two of his novels have been made into feature films and his books have been bestsellers in Africa, Europe and South America. In 2002, a committee of African literary critics named his novel Sleepwalking Land one of the twelve best African books of the twentieth century. His novels have been awarded major literary prizes in Mozambique, Portugal, Brazil and Italy. 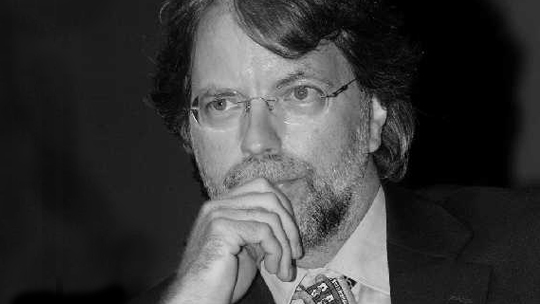 Mia Couto lives with his family in Maputo, Mozambique, where he works as an environmental consultant and a theatre director. Eric M. B. Becker is a writer, translator, and award-winning journalist from St. Paul, Minn. His translation interests include contemporary writers from Brazil and Lusophone Africa, and the Brazilian modernists. His work most recently appeared in Frankfurt Book Fair commemorative edition of Machado de Assis Magazine, a publication of the National Library of Brazil. He lives in New York.